Taffel, you see, is a Holocaust survivor. 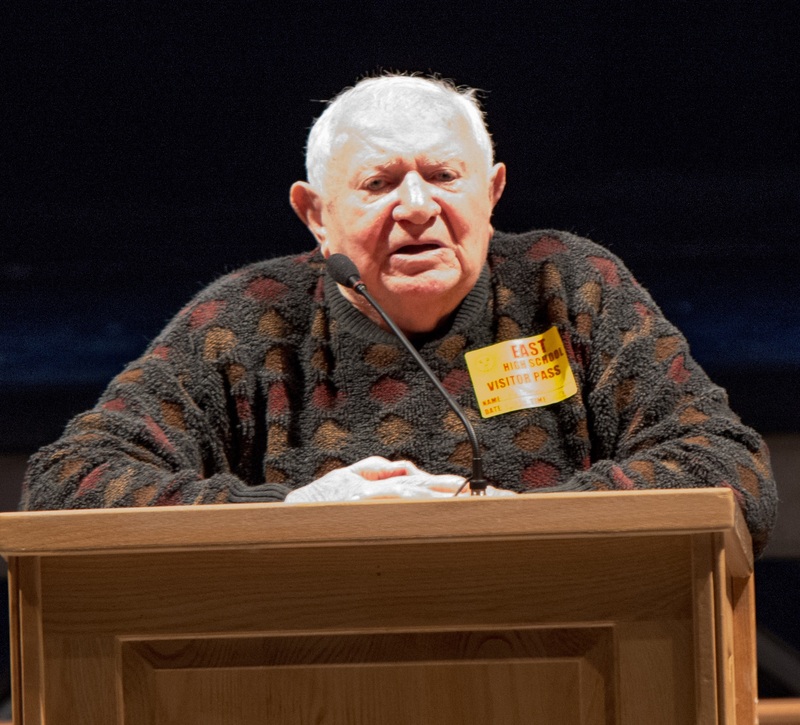 He told his story April 18 in the Silver Lining Arts Center to the students of the West Bend High Schools. It was Taffel’s seventh annual trip to WBHS. Born to dairy farmers in 1928, Taffel was the youngest of 10 children, including seven sisters and two brothers. He lived in a large home in the city of Radomysl, Poland with his family. “Time in my household was extremely valuable,” Taffel said during his speech. Taffel was often made fun of for being Jewish during his school years. He never would have expected that such hate would go to extremes. When Taffel was around the age of seven, Hitler declared war, and the Gestapo came to his town and began taking people over the age of 18. After some time, they began loading up people of all ages, which included Taffel. He was told he was going on a trip, and with that, he never saw his family again. He never had a chance to say goodbye. 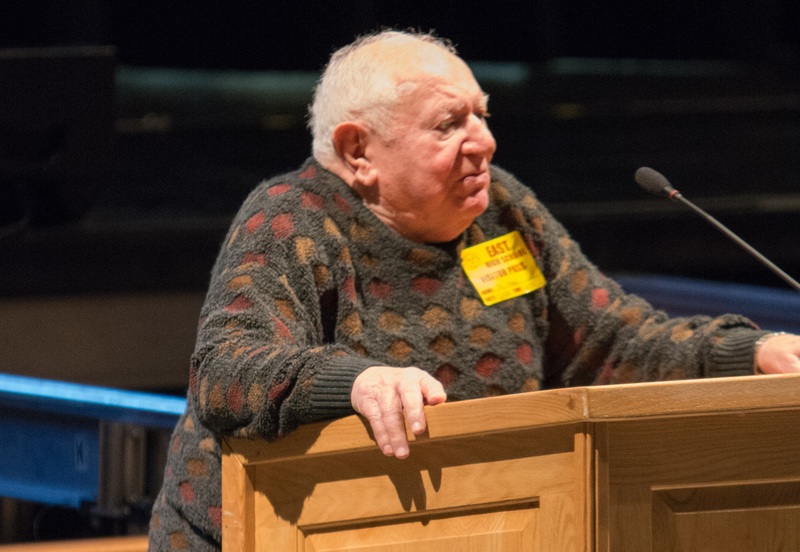 Taffel was carted around to three concentration camps, and he learned that the road to survival was paved with pain, starvation, exhaustion, and insurmountable atrocities that are still unspeakable today. He worked vigorously to stay alive, all the while receiving mental and physical scars. When The Current later asked about his time in the camps and how he survived every day through the horrendous nightmare that was his life for nearly four and a half years, Taffel merely smiled. “Not knowing what tomorrow brings,” he said. When he was finally liberated at the age of 17, Taffel recollects, he was so consumed with hate that it kept him up at night and troubled him for days and days on end. One day, he looked in the mirror and told himself that hate would never accomplish anything. It would be up to him to move on and learn from his experiences; he would not let the power of hate destroy him. Although the loss of his family saddened him, he built a life for himself that revolved around hard work and happiness. “I hope that somehow people realize we are all here for a purpose,” Taffel said. His experiences taught him that to live with hate and prejudice is not the way to carry on through life. Being at the harsh end of discrimination, he uses his memories not only to act as a gateway to the past, but also as a lesson to future generations. All around, the audience had tears in their eyes, the recounting of such atrocities serving as a slap of reality. 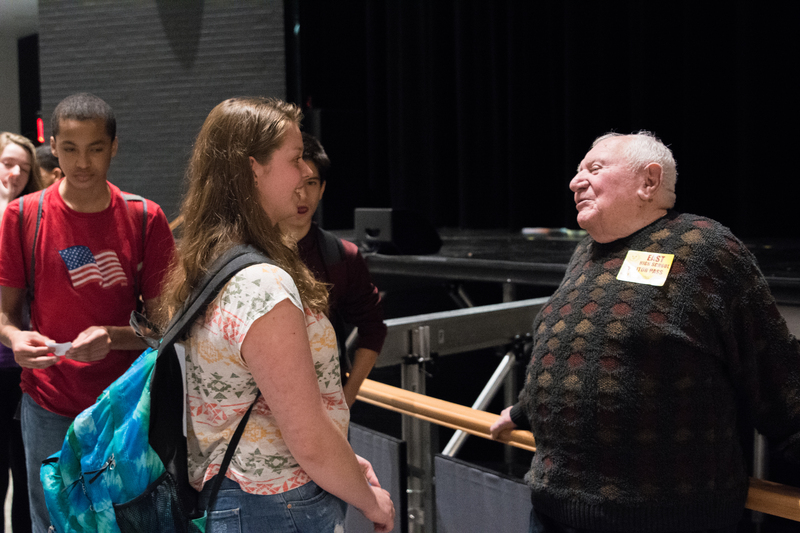 “You hear about this in books, movies, and other forms of media, but it becomes more impactful and more real when you hear it from a first-person experience,” said Lily Mottet, a West ninth grader.